Metal spring clips come in all shapes and sizes. It might attach the penlight to your keychain, keep your distributor cap in place or keep your glove box closed snugly. Whatever its function, odds are the best way to make it is with the Fourslide process. Nobody knows more about making your metal spring clip than Fourslide Spring and Stamping. Call or email us today and let us share our knowledge and experience, or fill our our easy online RFQ form. 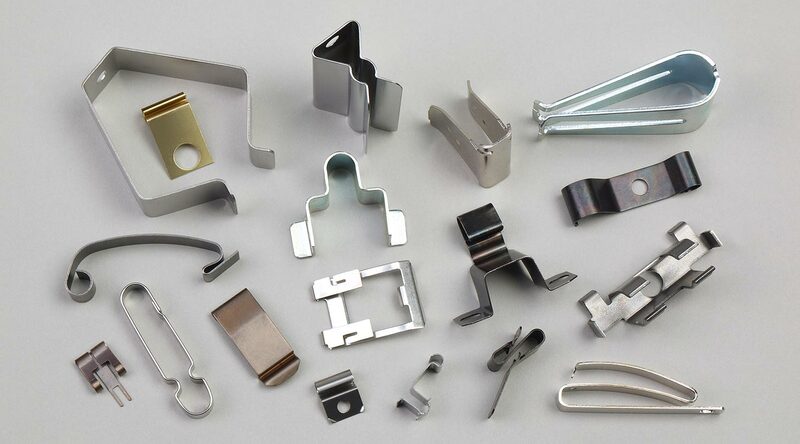 We are experts in manufacturing in a wide variety of metal clips, clasps, catches, latches and clamps.